Maybe it doesn&apos;t feel like spring yet, but the calendar assures us it&apos;s only 20 days away. Green is the color of spring, and the greenery in the South Puget Sound includes the kind you tee off from, as well as the kind you stroll through. The area’s golf courses and award-winning gardens are the perfect places to relax, unwind and welcome the season. The cities of Lakewood, DuPont and University Place form an oasis of verdure that make for a perfect weekend away from the stresses of daily life at a time of year when the weather is making its annual turn for the better. 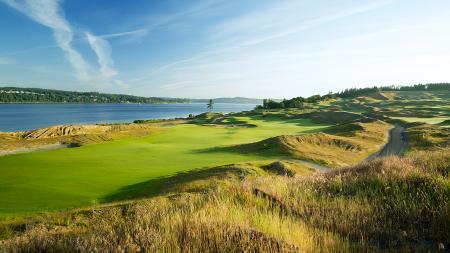 Featuring the kind of greenery where you can use your putter, University Place’s Chambers Bay Golf Course is the name you need to know for golf. Having hosted the 2015 U.S. Open Golf Championship, the course offers stunning views of Puget Sound and Olympic Mountains while you play in the footsteps of the best golfers in the world. Meanwhile, just 25 minutes away in DuPont, you can tee off at The Home Course, the co-hosting course of the 2019 U.S.G.A. Four-Ball Championship. Sharing many of the same mountain-and-Sound vistas of Chambers Bay, the Home Course is one of the most photogenic golf experiences you’ll ever have. American Lake Veterans Golf Course in Lakewood a VA golf course for veterans, active-duty and retired members of the U.S. armed forces, and is the only golf course in the country designed specifically for the rehabilitation of wounded and disabled veterans. Opening for the year on March 5 and operating through Oct. 30, Chase Garden’s views aren’t limited to the flowers and foliage inside the garden, but include magnificent views of Mount Rainier beyond and the Puyallup River Valley below. The 4.5-acre garden was designed as an interpretation of the natural landscape, including Mount Rainier’s famed wildflowers. 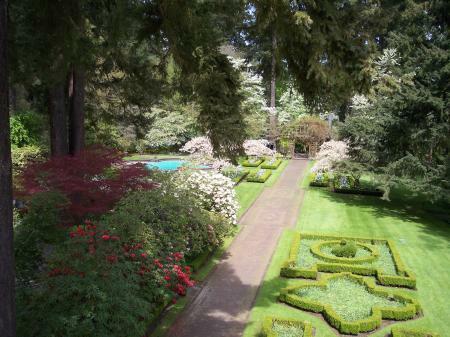 Not to be outshone by its neighbor to the east, Lakewold Gardens in Lakewood is a 10-acre National Historic Landmark filled with state-champion trees, rhododendrons, Japanese maples, a statuary and a Georgian-style mansion.